By Joining the NRG Digital Trends Panel and downloading the Nurago Web Meter you will earn £15 Paypal cash after 30 days. You will then earn £5 after each 90 days of activity. You will also get regular invitations to other rewarded surveys. The Digital Trends Panel is a brand new and unique market research site. The site is owned and operated by one of the world’s leading research firms GfK Nurago. (NRG) By Joining and becoming a member you will share your opinions and also your Internet browsing behavior in order to help improve how the web works for you and everyone else. You will also be able to earn cash sent straight to your Paypal account. Your first payment of £15 will be sent after just 30 days guaranteed with further payments made thereafter. To get started on the panel you must first register your details, this process involves filling in a short survey and will take no more than a couple of minutes. Once you have registered you will be taken to a webpage where you will be asked to install the Nurago web meter. Full instructions on installing the web meter and activating it are provided. The web meter is just simply a small browser extension that works silently in the background, it will not affect your surfing speed in any way or interfere with the websites that you visit. The meter will start each time you open your browser and will record the web address of any site that you visit plus how you engage with each website. This information will later be passed back to GfK’s clients in order to help them to answer questions such as what different technologies people use, whether the arrival of new technologies affects media use, whether people notice advertising on websites, how popular different media activities are and much more. 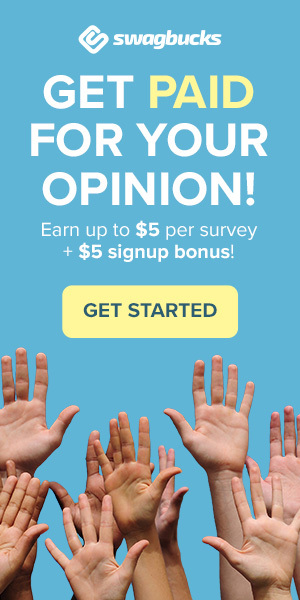 Any money that you earn on the panel will be paid in cash and sent directly to your Paypal account by GfK’s partner the SSI surveys reward team. They advise you to use your Paypal email address or an email address linked to your Paypal account when you register so your payments can be sent quickly and efficiently. Gfk is committed to fully complying with data protection laws and as such your personal information will be kept confidential. They also comply with all rules of conduct of the market research industry. Wow thanks for recommending this site. Already got my 15 quid in Paypal – quality! Don’t think there’s anything going on. I’ve not had any problems with Digital Trends I got my first payment bang on time on after the first 30 days and just received my second payment just for keeping the software installed! I’ve been paid twice up to now off NRG. Reckon its good that you can earn money for doing pretty much nothing but download a tiny program and complete a few questions! Has paid reliably BUT if you have problems forget it. Their meter was incompatable with the Windows 8 operating system which the necessity of a new laptop forced me to have. They have been no help at all and guess what? I am now unsubscribed and registrations are not being taken. Having been in hospital for a few weeks, my computer does not seem to be receiving your surveys,and I cannot download your GFK NURAGO software on my new computer. It is Windows 7. Just checked and unfortunately the panel is not available at this time. We will update the link when it comes back up. To earn money all the other survey panels are working ok please check them out instead. GfK is up and running and now working fine.